What is Cedar Oil ? Cedarwood oil is clear in color and has a rich desirable scent that is balsamic and distinctly woody. It is steam distilled from the wood and sawdust of the cedar tree. Often used as a fixative in perfumes, it is also popular used in incense. 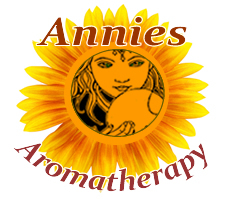 Atlas cedarwood (true cedarwood) is the more favored type of cedar oil for aromatherapy. It is especially valued for promoting emotional balancing and centering awareness. Cedarwood oil from the red cedar also has relaxing meditative properties and is a warm note to add to blends. Cedarwood is known for it's astringent properties for oily skin and scalp, and for other skin problems. Cedarwood is therapeutically similar to the more expensive sandalwood so it is frequently used in blends when a calming and grounding effect is desired, such as when treating anxiety. It is a fragrant air purifier and a beneficial inhalant for some respiratory problems. Though it may sound a bit contradictory, it is also known to be a good insect repellent. It blends really well with rose, juniper, and cypress, as well as bergamot, chamomile, palmarosa, lavender, petitgrain, rosemary, vetiver, sandalwood, and ylang-ylang. It's a major essence where concentration, focus, and meditation are desired, whether it be a massage blend or some method of diffusing it into the air. Here's an excellent No Stress blend to diffuse in the office. A skin irritant in high concentrations. Botanical Information - Rituals & History : Atlas cedarwood, Cedrus atlantica comes from Morocco and was possibly the first oil to be extracted from a plant. The red cedar, Juniperus virginiana, is a coniferous tree native to North America, commonly used to make pencils. 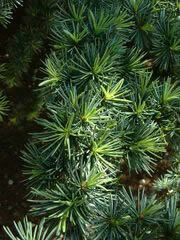 This tree is closely related to the yellow cedar, the source of thuja oil.